A middle-aged woman shows off a beautiful, white smileFull mouth rehabilitation aims to address several issues – including those involving the gums, muscles, bones, and teeth – at the same time to completely restore health, function, and beauty to a smile. Even if it has been years since you’ve had the dental care you need, there is no need to be embarrassed about the condition of your smile. No matter your dental issues or how you got to this point, Dr. Kooyman will determine a treatment plan to bring function and beauty back to your smile. Through full mouth rehabilitation at our practice in Meridian, you can once again smile with confidence. 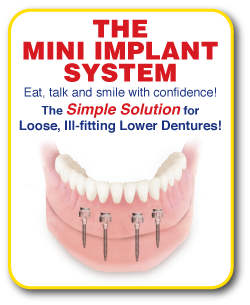 If you would like to learn more about and how full mouth rehabilitation can help you, schedule a consultation with Dr. Kooyman today. Our office is located near Boise and Eagle. Candidates for full mouth rehabilitation include those who have problems with all or many of their teeth. Good candidates are also those individuals who are prepared for what can be a lengthy process, sometimes requiring multiple procedures over several months or even years. If you think you may be a good candidate for full mouth rehabilitation, the first step is to contact our Meridian practice to schedule a consultation with Dr Kooyman. Don’t be embarrassed about the condition of your smile. With more than 12 years of experience as a dentist, there is little that Dr. Kooyman hasn’t seen. 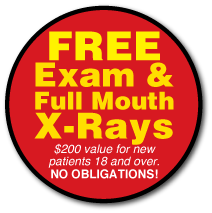 During your personalized full mouth rehabilitation consultation, he will perform a comprehensive examination of your mouth and speak with you about your goals. He will also explain what is involved in the process, making sure that you understand how much time it can take and how many procedures are involved to achieve the optimal outcome. After the initial consultation and examination, Dr. Kooyman will prepare several treatment plans for you to choose from. Porcelain veneers and/or crowns to conceal flaws and add strength to teeth. Teeth cleaning and periodontal treatment to restore dental health. Invisalign® orthodontics to correct gaps and misalignments. Treatment for TMJ disorder to relieve discomfort and prevent tooth damage that can be caused by clenching and grinding. Full mouth rehabilitation patients can also take advantage of the sedation dentistry options available at CR Smiles – Meridian Dental Care, including oral conscious sedation and nitrous oxide. Both sedation options will allow you to remain conscious during your procedures while helping you remain relaxed and comfortable. Recovery time will depend on your personalized treatment plan. Full mouth rehabilitation is often an ongoing process, requiring several procedures over the course of months or years to achieve optimal results. Although procedures can sometimes be combined, as they are with a smile makeover, doing so can have less than ideal results with full mouth rehabilitation. Since the procedures are often very complex and may involve the entire mouth, it is important to allow adequate healing time before proceeding to the next procedure. You may be anxious to have your smile restored as quickly as possible; however, Dr. Kooyman prefers to take extra time to make sure each procedure is done right and produces the desired results before moving on to the next step. If you have multiple dental issues affecting many or all of your teeth, you may be a good candidate for full mouth rehabilitation. Contact our practice in Meridian today to schedule a consultation and learn more about how Dr. Kooyman and his team can restore health, function, and beauty to your smile. For more than 12 years, he has helped people throughout the area, including Boise, West Boise, and Eagle, restore their smiles through full mouth rehabilitation.